"it was special to have my wife at the finish. That gave me an added incentive to go hard and see her." He's like constipation, difficult to warm to. Just read his book - "The Climb" - and, albeit he had a ghostwriter, it was a good read. I'm basing my opinion on a couple of interviews I've read with him and his feud with Wiggins whom I quite respect, I've only a passing interest in cycling. Type A personalities in sport. You don't get where they are by being nice all the time. 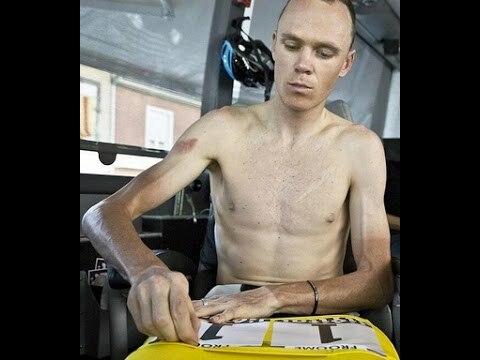 Watched the end of the Dauphine yesterday, Froome's power was awesome to watch. Indeed. And those that are nice are dubbed boring. You can't win. Lycra louts the lot of them.